We love seeing the creative ways in which retailers are planning to entice new custom! 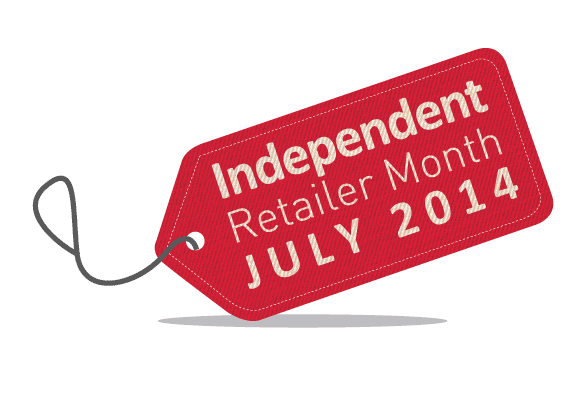 Independent retailers are being urged to celebrate their individuality by holding a range of events and activities throughout July, when the Independent Retailer Month campaign will run for its fourth consecutive year. Independent Retailer Month aims to raise awareness of thousands of local businesses and increase footfall into town and village centres, helping retailers to stay open for business and to improve collaboration between retailers. The campaign aims to impact the independent retail sector with fun activities and events to connect consumers and communities with local businesses, helping to engage their interest in and understanding of the benefits of shopping with local independent brands. 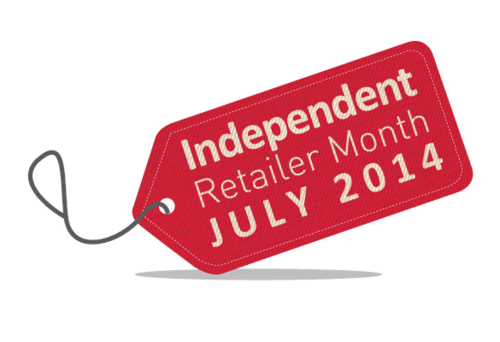 Clare Rayner, the Retail Champion and founder of Independent Retailer Month, said: “As we enter our fourth consecutive year, we want consumers to understand the importance of their local businesses. Springboard Research for the British Retail Consortium found that high street footfall was down 26% from 2007–2013 during traditional hours, although notably revealed that there was growth in the evenings from 5.00pm to 8.00pm, and at the weekends. It’s really important that shoppers return to their local brands and see what small, independent businesses can offer. Retailers are still being urged to join the campaign and plan activities and events to increase the footfall in their area. All those taking part have access to a range of free, downloadable materials and resources, from window stickers to press kits, so that they can tell the local community how they will be celebrating their individuality this July. The tools can be accessed at www.independentretailermonth.co.uk/resources/. One example of creative celebrations from Independent Retailer Month 2013 was Frugi Wholesale, which invited its stockists to hold a “Frugi Tee Party” during the campaign. The party included children’s colouring competitions, where the winner’s design was manufactured by the wholesaler on to tee-shirts for the stockists to later sell. You can see Clare’s video introduction of the Frugi Tee Party here. Thousands of independent retailers across the UK are expected to participate in this year’s activities. Retailers interested in taking part can keep up with news and updates by following www.twitter.com/IndieRetailUK on Twitter, by visiting the Facebook page at www.facebook.com/IndependentRetailerMonthUK or subscribing to www.independentretailermonth.co.uk. Clare is available to provide further content for print/online publication or to engage in broadcast interviews, either down the line or in the studio. All requests for media contributions should be addressed to Clare directly – by email to clare.rayner@retailchampion.co.uk or call office: + 44 (0) 1727 238890 or mobile: +44 (0) 7462 218000. This press release was distributed by ResponseSource Press Release Wire on behalf of Independent Retail Month 2014 in the following categories: Men's Interest, Entertainment & Arts, Leisure & Hobbies, Women's Interest & Beauty, Consumer Technology, Business & Finance, Retail & Fashion, for more information visit https://pressreleasewire.responsesource.com/about.